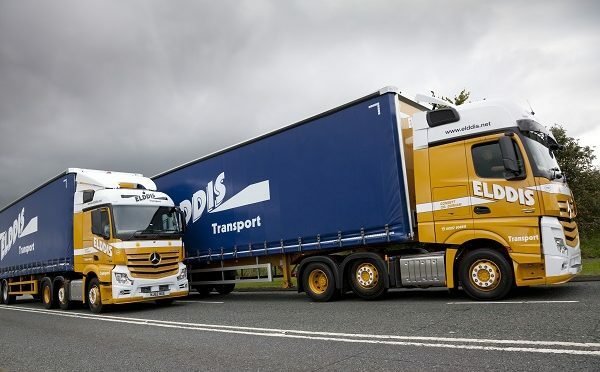 Leeds UK, 5th July 2016 – Specialist logistics provider Elddis is transforming the efficiency of its transport operations with a trailer tracking solution from BigChange. Fitted to 300 trailers, the company are using the system to streamline servicing, measure fleet utilisation and manage trailer availability in-real time for blue-chip FMCG clients who have specific trailer availability measures within their overall service level agreements. Elddis now receive real-time alerts when the number of trailers at a customer site drops below an agreed threshold, enabling them to rapidly make additional deliveries. One of their confectionary clients requires 7 trailers to be on site at any one time so the system is essential in responding rapidly to customer needs. Elddis also uses the solution to manage the servicing requirements of the trailer fleet, with a daily location report enabling the effective scheduling of routine activities and live tracking assisting with the rectification of defects and adherence to the company’s re-torque policy. With sophisticated KPI reporting, Elddis is now receiving reliable data on trailer utilisation across the fleet, enabling robust and accurate capacity planning and streamlining of the trailer pool.